During the First World War, maintaining discipline within the various armies was a subject of debate, concern and controversy. How best to deal with those men who broke, or were perceived to have broken, military laws and expectations would see some soldiers being sentenced to death. The rules that governed the behaviour and treatment of the British army during the First World War was the 1881 Army Act that laid out the laws by which soldiers were to abide. The Act covered such minor infringements as poor appearance (being unshaven or having a dirty uniform), to the more serious issues of desertion, aiding the enemy or murder. There were a variety of possible punishments that could be handed out depending upon the infraction. Minor breaches could be punished by extra duties, exercise or, far worse in the minds of men who had been on prolonged service, loss of earnings or confinement to barracks. For more serious crimes, soldiers could face the dreaded Field Punishments. There were two sorts of Field Punishment in the British army; Field Punishment No.1 consisted of the soldier being ‘attached to a fixed object’ usually a gun carriage/wheel or a post in the ground. The soldier could be left in this position for two hours a day in up to three consecutive days out of four, and for a period not longer than 21 days in all. Field Punishment No.2 was, essentially, the same but ‘the prisoner was not liable to be attached to a fixed object’ so would spend time shackled and either stay in one spot or participate in some form of labour. Soldiers viewed these punishments as humiliating and unjust and, as a result, they were often used as a potent threat to maintain discipline. 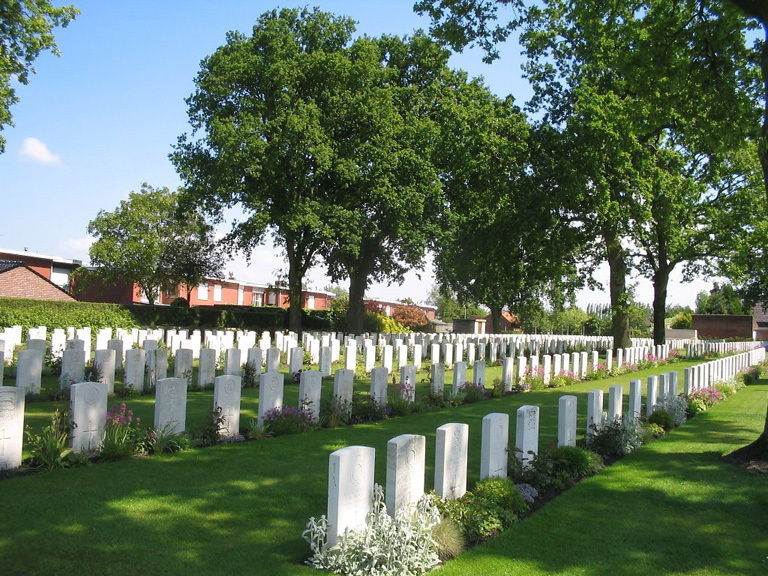 If a soldier was judged to have committed a grave offence whilst in service they could face imprisonment, penal servitude (imprisonment with hard labour) or death. For a death sentence to be approved it had to be confirmed by the commander-in-chief in the theater. Over the course of the war, 3080 British, Dominion or Colonial soldiers were sentenced to death but most of those sentences were then reduced to imprisonment, field punishment or suspended. In total 346 soldiers were officially executed by firing squad. Of these, 346 the vast majority, 322, were in France and Belgium. Soldiers in the British army made up 291 of the number, with 25 being Canadian, 5 from New Zealand, and 4 in the British West Indian Regiment. The remaining 21 were made up of assorted men and civilians who operated under military law, such as the Chinese Labour Corps. Australian soldiers were subject to the death penalty but the Australian government had transferred the power to confirm the death sentence to the Governor General of Australia Sir Ronald Munro Ferguson, who always reduced a death sentence for Australian soldiers to imprisonment. Private Reginald Tite. Executed by firing squad 25 November 1916. Picture courtesy of Steve Manwaring. Figures regarding the crimes for which soldiers were executed can be difficult to clarify. However, the historian Gordon Corrigan gives the following numbers. The most common offence for which a British soldier might be executed was desertion (the abandonment of your duty or post). 266 men were found guilty of this crime and faced death by firing squad. The next highest crime was murder, with 37 men having been found guilty of the offence and subsequently executed. The charge of ‘cowardice’ completed the top 3 offences for which a soldier was executed, with 18 men. Whilst the execution of men by firing squad was deemed necessary, and legal, by the army, steps were taken to avoid any undue strain on the men who made up the firing squad. Firing squads were typically 6 to 12 men in number armed with rifles. These rifles were pre-loaded and then provided to the men. One rifle in each squad was loaded with a blank round and this was common knowledge. This allowed each man in the squad the opportunity to believe that they had fired the blank round and, therefore, not actually killed the man. However anecdotal accounts suggest that soldiers were more than capable of telling the difference between a live round and a blank one when the rifle was fired. Private W.R. Burrell served with the 2nd Battalion Royal Sussex Regiment and was executed by firing squad for desertion in May 1916. Burrell had previously gone missing for several weeks before being found and apprehended in 1915. Having been given the death sentence, this was then reduced to a prison term. A year after his first trial, Burrell was released from prison and returned to the Royal Sussex Regiment for duty only to go missing again. Upon his recapture Burrell appeared before a court martial once again charged with desertion and this time the death sentence was issued and confirmed. Private Burrell was 21 years old as he accepted the blindfold on the morning of 22 May 1916. 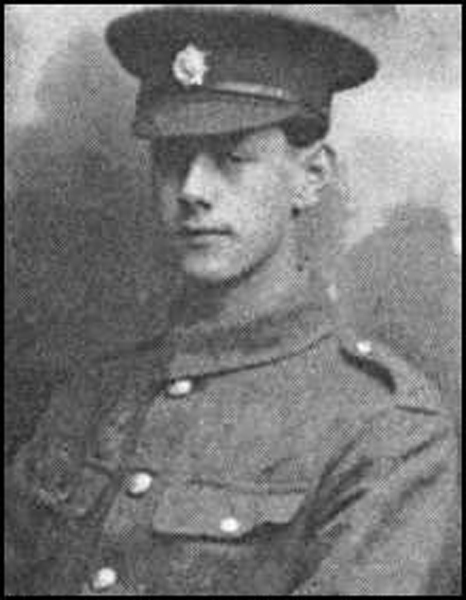 The third, and final, soldier of the Royal Sussex Regiment to face death by firing squad was 24 year old Private J.E. Barnes. He was also charged with desertion and subsequently executed in July 1917. There is little information about him or his case currently available. The use of capital punishment in the military during the First World War has been a long source of controversy and contention. There has been significant research that suggests, such as in the case of Reginald Tite above, that men deemed to be ‘cowards’ or charged with desertion were suffering from what, at the time, was termed neurasthenia or ‘shell-shock’ and is now popularly understood as a form of post traumatic stress disorder. Similarly though, the use of execution for grave crimes mirrored the rules of the society at the time. Those men in uniform who were executed for murder would have been hanged for their crime in civilian life as well. Since the end of the war, a distinction has risen up between those men executed for the crimes of cowardice or desertion and those found guilty of more serious civil crimes. This culminated in the passing of the Army Act 2006 which then, in 2007, pardoned 306 British soldiers who were executed during the First World War. These men have also been commemorated on the ‘Shot At Dawn’ memorial. 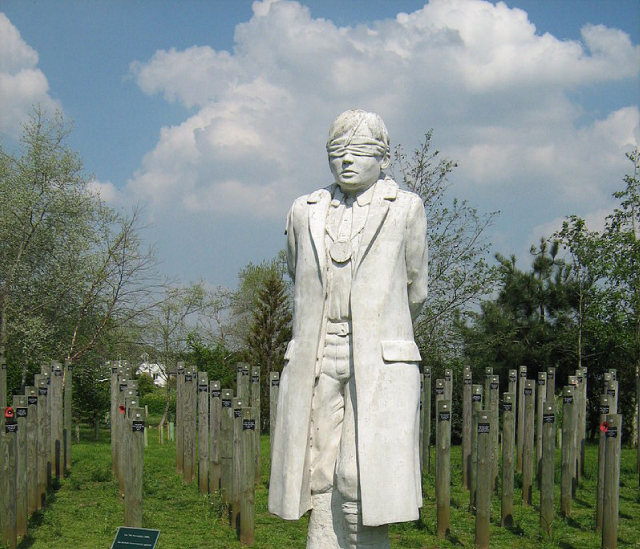 The figure is modeled on the features of Private Herbert Burden who was 16 when he joined up but lied about his age. When he was 17 years old Burden was charged with desertion and executed by firing squad. The British army was not alone in executing soldiers. Most of the other major nations involved in the conflict maintained forms of capital punishment. The numbers of soldiers killed is difficult to ascertain as many soldiers were executed with their ‘official’ cause of death then being listed as something else. There is anecdotal evidence of this occurring in the French, German and British armies. It is therefore uncertain quite how many soldiers in total during the First World War were led before a firing squad at dawn and given the option of taking the blindfold. Information for the Royal Sussex Regiment soldiers for this story was provided by Steve Manwaring, Director of Hastings Voluntary Action. Should any one have further information about the soldiers mentioned in this story then please contact us.